02:15 — Gummidge: Back for more. 04:15 — Jessica Jones: Back for a threequel. 06:16 — BBC Worldwide: Consumed. 11:53 — STD: Spock to appear in season 2. 12:49 — He-Man: Teaming up with Batman. 14:37 — STD: Enterprise is to be 25% different! 17:34 – Nigel Kneale’s The Stone Tape. 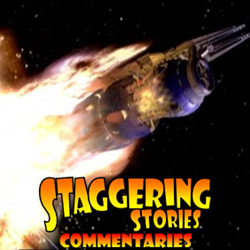 35:25 – Doctor Who: The Stones of Blood. 55:42 – Emails and listener feedback. 64:53 – Farewell for this podcast! 65:32 — End theme, disclaimer, copyright, etc. Wikipedia: The Stones of Blood. BBC: Doctor Who – The Stones of Blood. 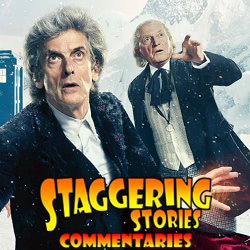 Adam J Purcell, Andy Simpkins and Keith Dunn sit down, regenerating, in front of the 2017 Doctor Who Christmas special, ‘Twice Upon a Time’, and spout our usual nonsense! Wikipedia: Twice Upon a Time (Doctor Who). BBC: Doctor Who – Twice Upon a Time.